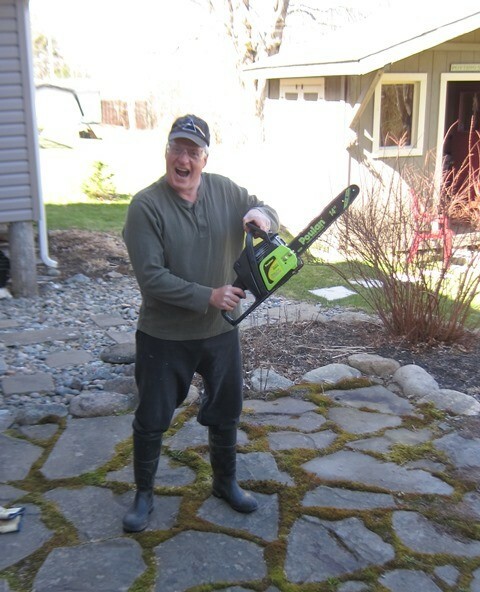 My first chainsaw and I am psyched… going to Dad’s house tomorrow to do some yard work. A few old spruce trees fell down over the winter and they’ve got my name on them. Can’t wait … so long as my next post is not from the hospital.